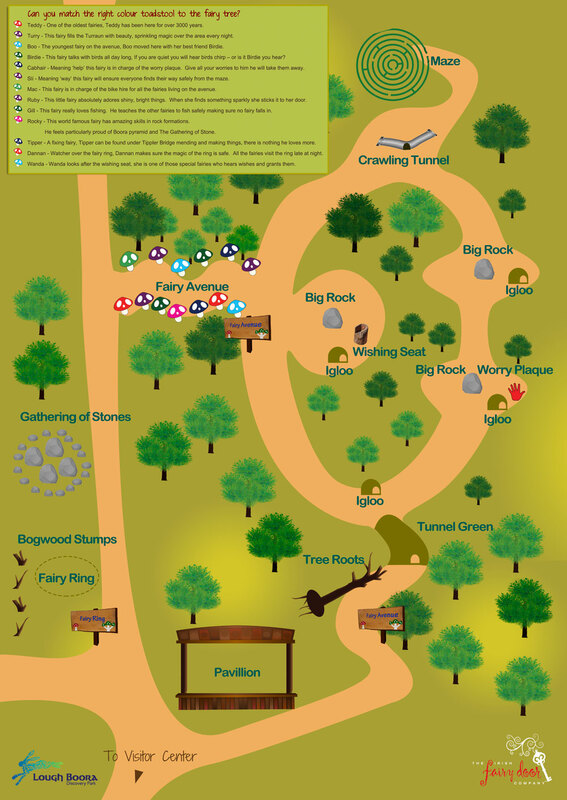 Find your way from the Fairy Ring all the way around Fairy Avenue using our Fairy map. Be sure to stop by all the Fairy doors along the way to learn more about who lives there. Printed versions of the map are available in the Lough Boora Discovery Park Visitors Centre, or you can simply download your own here.